Justine Lutterodt FRSA is Director of the Centre for Synchronous Leadership. She brings to her practice over fifteen years of experience working with senior leaders from professional services and Fortune 500 companies as consultant and coach. Her project work has been recognised for its innovative design and high impact, receiving Business in the Community awards in 2013 and 2014. Outside of CSL client work Justine is an international conference speaker, an occasional lecturer, and a contributor to a number of community initiatives. Her thought pieces on ethical leadership have been featured at the World Economic Forum on three separate occasions, and her opinion pieces have been featured in mainstream publications such as Huffington Post and City AM. 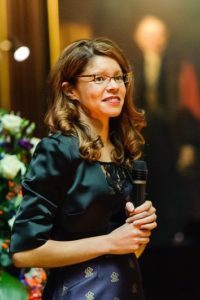 Justine serves as Chair of the judging process for the Diversity Legal Awards, and as Patron of Brightstars – a grassroots charity supporting young people with autism. In 2016, Justine was named one of Britain’s most influential black entrepreneurs by BE Mogul. More recently, she was listed as one of the City’s 30 influential female industry changemakers by Brummell Magazine. Justine holds an MSc from LSE in Organisational Psychology and a BA from Yale in Maths and Philosophy, both with distinction.